William Grindlay of Naples, FL and life long resident of Quincy. passed away suddenly Jan 12 . Cherished husband of Maureen (Dunn) of Florida. Loving father of Michael and his wife Kellie Fuller Grindlay of Quincy, Catherine Quinn and her husband Brendan of Quincy and the late Gerald Grindlay. Proud Grandfather of Brendan and Ethan Quinn. Son of the late William and Eleanor Grindlay of Quincy, Son in law of the late Kenneth and Marguerite Dunn of Arlington and his late Brother Gordon Grindlay. William was a proud graduate of North Quincy High class of 1959. He went on to receive an associate degree from Bentley College and bachelors and masters degrees from Northeastern University respectively. William served his country as a member of Army National Guard. He loved the City of Quincy and spent his career working in many areas of the City. He was a past member and chief of the Quincy Auxiliary Fire Department, worked in the Quincy Police Department as a detective often supporting the District Attorney's Office with white collar crime investigations, later served as the police department budget director, served as city auditor, and worked with the city election department. He spent 12 years on the board of Quincy College including a term as board president. In addition to this he ran his own tax preparation business for the better part of 50 years where he assisted many area residents with their tax needs.In his free time he enjoyed getting away to his second home of Naples, Fl where he would spend time with friends and family. 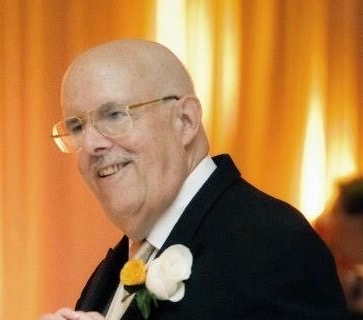 He was an avid sports fan who in particular liked to follow baseball and loved collecting baseball cards. He was also know to enjoy a good pipe or cigar. Relatives and friends are respectfully invited to attend the Mass of Christian Burial Friday at 10 AM in the St. Ann's Church, Quincy. Visiting hours Thursday 4-8 pm in the Hamel-Lydon Chapel, 650 Hancock St., Quincy. Burial in Pine Hill Cemetery,Quincy. Donations in William's name may be made to the Alzheimer's Association.